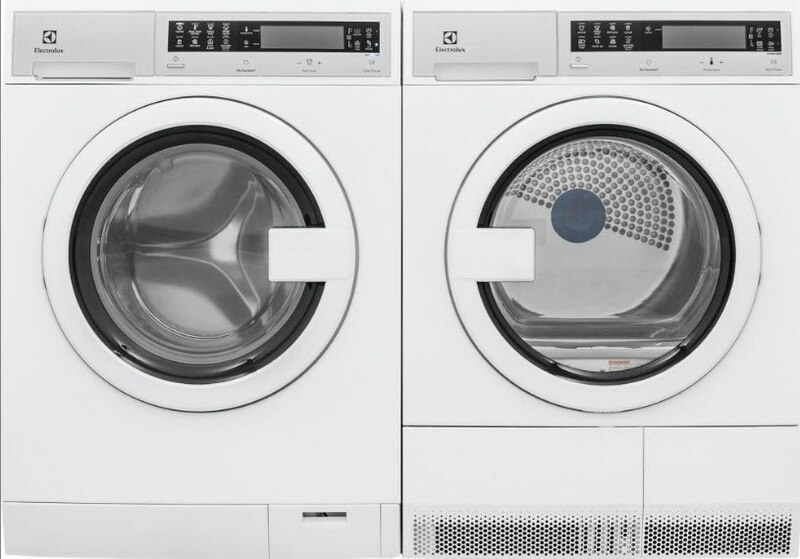 In this video, we will be talking about the Electrolux EIFL20 compact laundry and its features. Then we will compare their compact laundry against other laundry machines from Bosch, Asko, Blomberg, Miele, Samsung, and Whirlpool. First, let's discuss a bit about compact laundry. 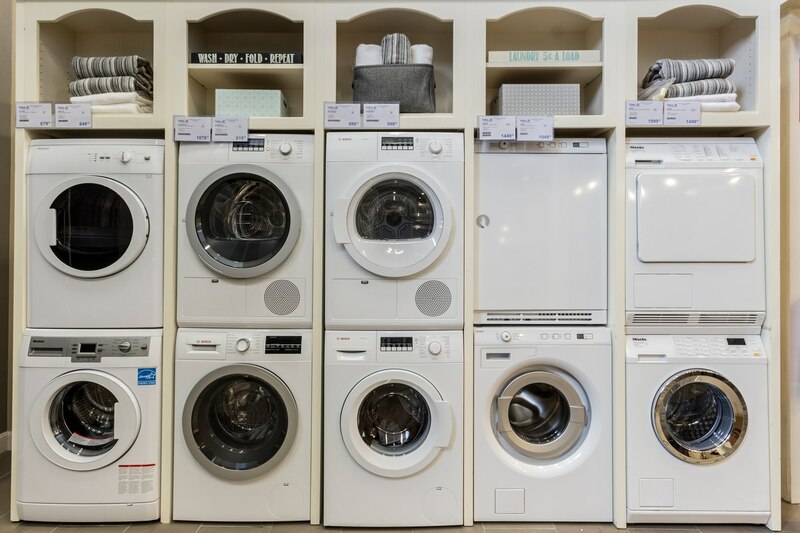 Compact laundry is not only popular in apartments and condos, but it's also becoming widely used in homes. 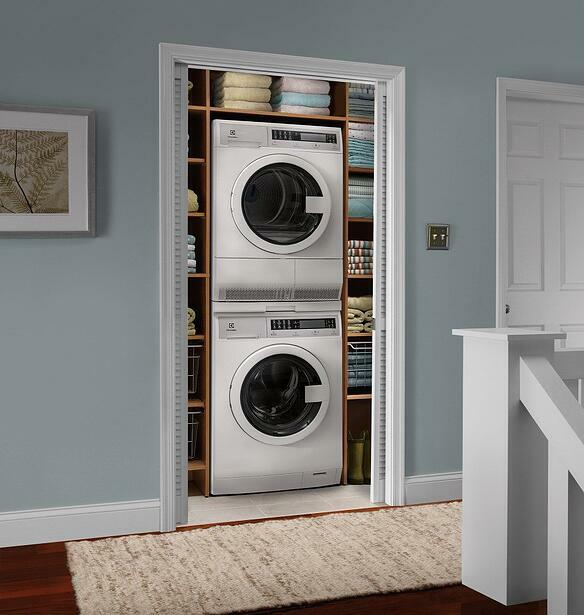 With its 24-inch size, you can take any small space like a closet or kitchen cabinet and put in your laundry units. So you do not have to travel to a laundromat in the city, and you can place your washer and dryer on the bedroom level instead of walking down all those stairs to your laundry room. 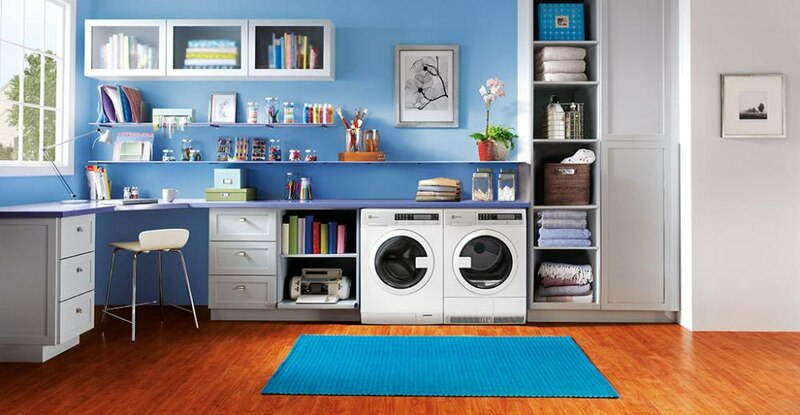 So, take any 24-inch space with power and water, and you can now place a set of laundry. Also, we will talk about dryers later in the video and tell you why most compact units do not require you to vent outside anymore. Is Electrolux Compact Laundry Any Good? Electrolux is newer to compact laundry in the US. Although, they have been a leading producer in Europe. And it's 2.4 cubic feet, which is fairly large for compact washers and dryers. Interestingly enough, most top load washers are actually a similar size, usually about 2.5 USABLE cu. ft.
Electrolux has some proprietary features along with every possible cycle. They are the only compact washer employing steam for powering out tough stains like grass or wine. Their steam cycle is intelligent because it's added at the bottom so it infuses the clothes better than most. Their 1,400 RPM spin is good for drying the clothes after the wash cycle. They say it's the best, but Miele has a 1,600 RPM speed. Miele actually has the best washing system with its patented honeycomb drum. It is the only machine able to wash silks and other fine fabrics. However, it's well over double the price of an Electrolux. So the washer is excellent. The dryer has a ton of cycles, except when we talk about compact dryers, it's about the venting. That said, there are three ways to vent. Electrolux employs a condenser, which turns the steam into water. You can plumb the water to be drained through the washer. We do that for you upon delivery at Yale. I like this method because you can truly place a dryer anywhere like an inside closet without having to cut a hole for a vent. Venting a dryer does have advantages because it evacuates heat, unlike condenser dryers. Still, most brands, like Miele, Bosch, and Electrolux, use condensation. Only Asko, Samsung, and Blomberg vent their dryers. Uniquely, there is a newer third way called heat pump dryers, which use compressors instead of heating elements to dry your clothes. It's more energy efficient, yet it's uncommon in the U.S. Only Whirlpool and Blomberg sell them in the U.S.
How does the Electrolux pair compare? At $1,500, Electrolux is currently cheaper than Bosch, its main competitor, with steam and features that make it $300-$500 dollars more. Miele is the best, quite frankly, especially if you have silks and other fine washables. Unfortunately, it's expensive at $3,500 and over to buy. Samsung is a good choice for a vented machine. Keep in mind, it's deeper than an Electrolux, so you would have to be careful sizing it in most closets and smaller spaces. Whirlpool would be a great competitor with its heat pump drying system, but you would lose steam and most of its functionality and cycles in the washer. So for $1,500 with a steam washer and condenser dryer, Electrolux should be a serious consideration for your compact laundry. Want to learn more about compact laundry? Download our free Compact Laundry Buying Guide for detailed information on all the best brands and features. Over 250,000 people have read a Yale Guide.